A splendid foliage plant bred by Keith Wiley at Wildside Nursery. The new growth is bright scarlet for many weeks through the spring contrasting with the green leaves from the previous year. 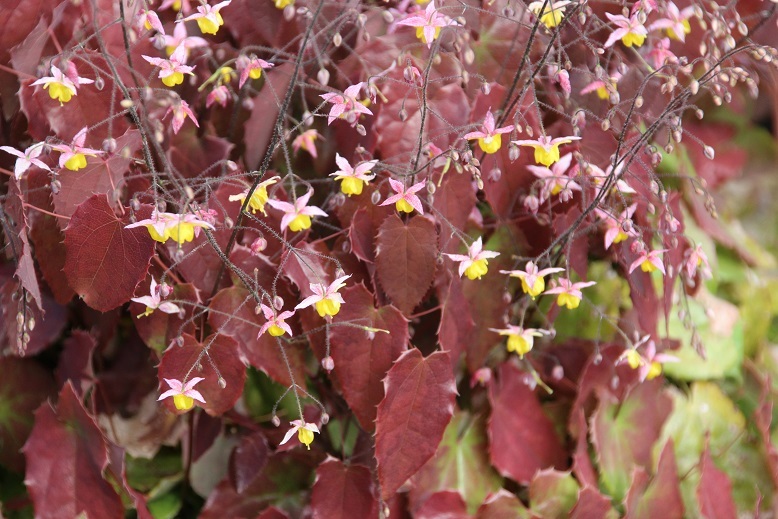 Small pink and yellow flowers are cheerful but distracting.